The Animal Bridge in Jackson Park, a 500-acre park on Chicago’s south side, is a fanciful bridge in a city known for its innovative bridge designs. It was the winning entry in 1903 for a competition sponsored by the South Park Commission. Nearing its centennial, the Animal Bridge was in need of renovation, but the Chicago Department of Transportation required that the renovated structure keep the characteristics for which it is well known. 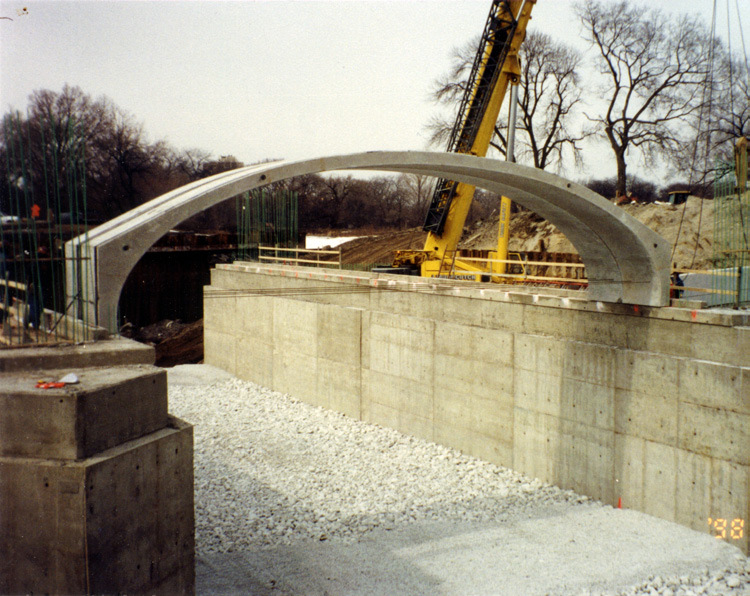 A total of four Contech structures were installed in Jackson Park off South Lake Shore Drive in Chicago, Illinois. 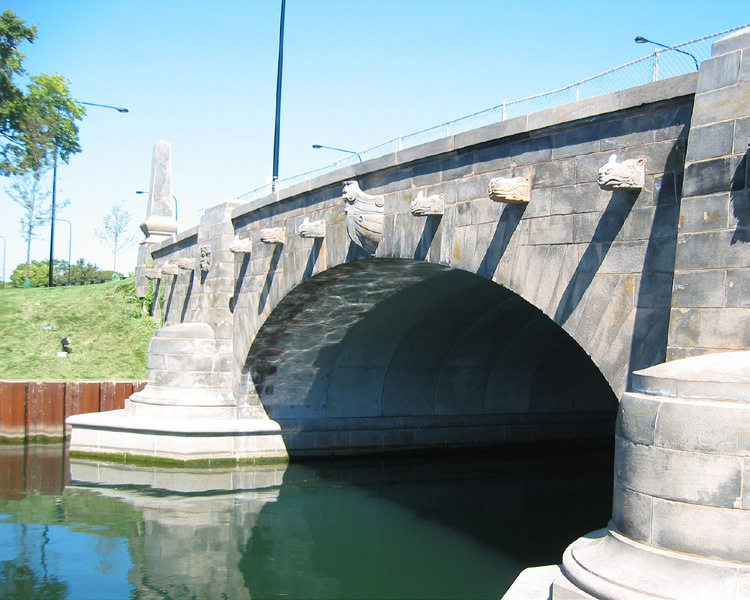 These projects required extensive research to ensure that the new structures would accommodate heavy highway, pedestrian and bicycle traffic, while also maintaining the historical significance of the park. For the Jackson Park Animal Bridge renovation, the original Pink St. Cloud granite façade of this historic structure was removed, refurbished and then reattached to the facing of the new CON/SPAN® structure, a custom span matching the existing bridge. The three other CON/SPAN® pedestrian tunnels in the park include embedded conduit and lighting.